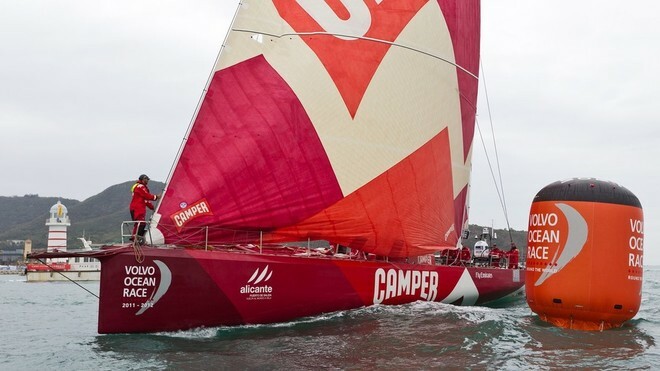 Camper with Emirates Team New Zealand is calling in help from the team’s America’s Cup squad coaches. Camper is using all the resources at their disposal in order to challenge overall race leaders Telefónica. Coach Rod Davis and team video analyst Joey Allan are flying to Sanya to work with Chris Nicholson’s crew on their short course racing. Despite their second place overall and podium positions in all the point scoring races, Camper is keen to close the gap and improve their performance for that elusive win. But the team remains within touching distance of the summit, just 15 points adrift of overall leader Telefónica. And that’s why the little details matter. Bringing a fresh pair of eyes to the team’s performances – particularly in the InPort races where 20 per cent of the points are up for grabs – will be New Zealand-based coaches Davis and Allen, who normally focus of the Emirates Team New Zealand America’s Cup squad. Allen has done multiple round-the-world races and America’s Cups, and along with Davis, an Olympic gold and silver medalist, they bring a wealth of experience and knowledge, which can help Camper bridge the gap in performance. Meanwhile Shore Manager Neil Cox has been assessing the condition of the boat after Leg Three – that was kinder to the boat than it was on the crew – and looking ahead to New Zealand. Camper is due to go back into the water on Sunday 12th February, and have its first sail the following day. The final week will be a busy time and the Spanish/New Zealand team intend to maximise every available opportunity, both on and off the water.